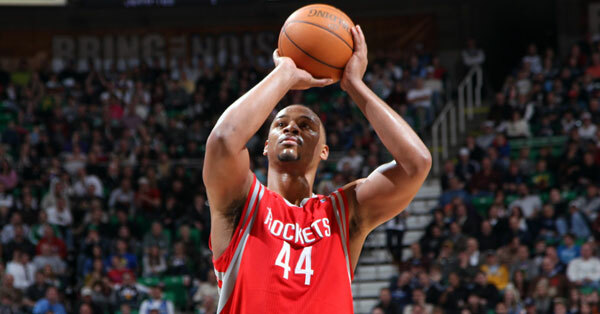 After plans for over a month to have Chuck Hayes back with the Rockets, he won’t be coming back to Houston. Chuck Hayes was all but back in his Rockets uniform, with Bill Worrell warming up his “There’s no mamby pamby in the Chuckwagon” calls, but in the end, it didn’t come together. Hayes won’t be coming back to the Rockets after all, according to Marc Spears of Yahoo! Sports. “Due to limited roster flexibility (and) other financial considerations, Chuck Hayes will not be signing with the Rockets as previously announced,” said Hayes’ agent, Calvin Andrews. Hayes was once an anchor of a strong Houston Rockets defense, having played here from 2005 to 2011. Hayes left for the Sacramento Kings as a free agent before the 2011-12 lockout-shortened season. This is not the first time a deal with the Rockets fell through for Hayes. The undersized center had an agreement in 2011 to stay with Houston rather than sign with Sacramento, but the Pau Gasol trade fell through for “basketball reasons,” which changed the plans.